Touchstone Energy has been working behind the scenes to provide a unique incentive for our cooperative membership, their employees and your member-owners to take advantage of a fleet or individual purchase of the All-New NISSAN Leaf®, the World’s Best-Selling 100% Electric Car. 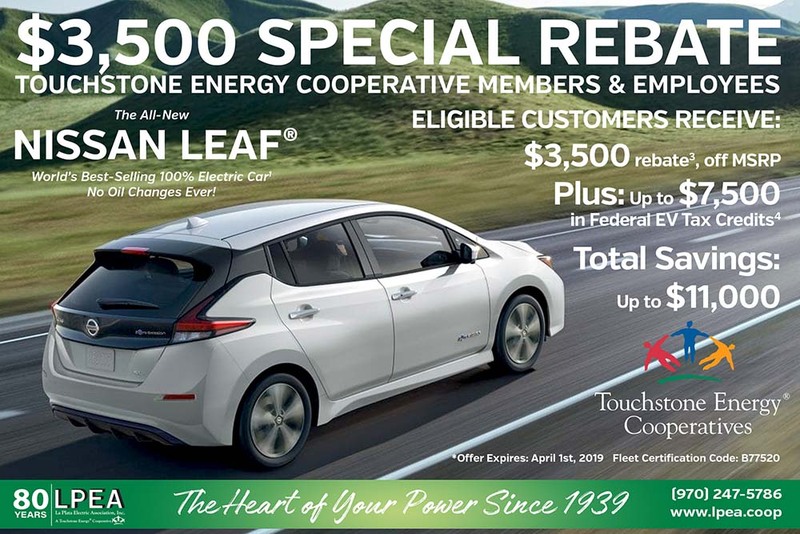 Simply print this Touchstone Energy Nissan Leaf Flyer and bring your La Plata Electric Association, Inc. electric bill and/or proof of cooperative employment, to your local NISSAN Dealer and you can become eligible to use the special Fleet Certification Code to obtain your special rebate. Please see eligibility requirements for more details.